phrase without a repeating letter. 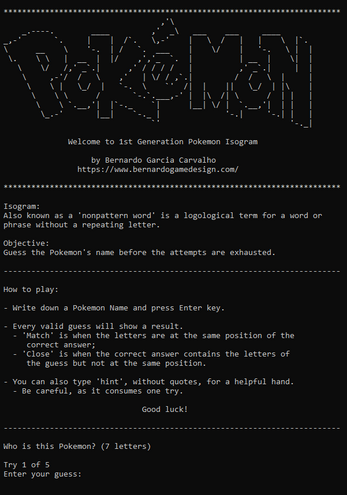 Guess the Pokemon's name before the attempts are exhausted. 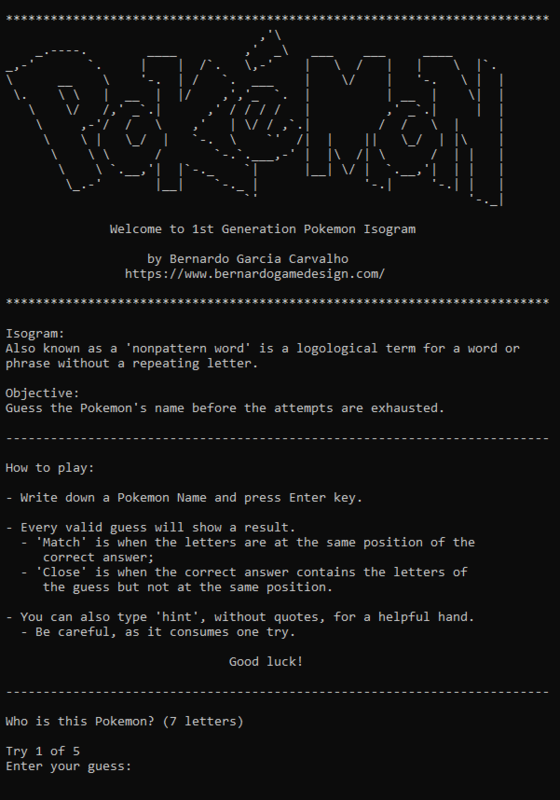 - Write down a Pokemon Name and press Enter key. - Every valid guess will show a result. the guess but not at the same position. - You can also type 'hint', without quotes, for a helpful hand. - Be careful, as it consumes one try.